The Centers for Disease Control and Prevention estimates about 67 million American adults have high blood pressure, or hypertension. Sometimes called the "silent killer" because of a lack of symptoms, high blood pressure can increase your risk of stroke or heart attack. Lifestyle changes and a heart-healthy diet are necessary for managing blood pressure levels, but honey may also help lower blood pressure. According to "The Honey Prescription," buckwheat honey is used in traditional Russian medicine to treat high blood pressure. In "The Healing Powers of Honey," author Cal Orey attributes the blood pressure-lowering ability of honey to oligosaccharides -- a type of carbohydrate that have an antioxidant effect. 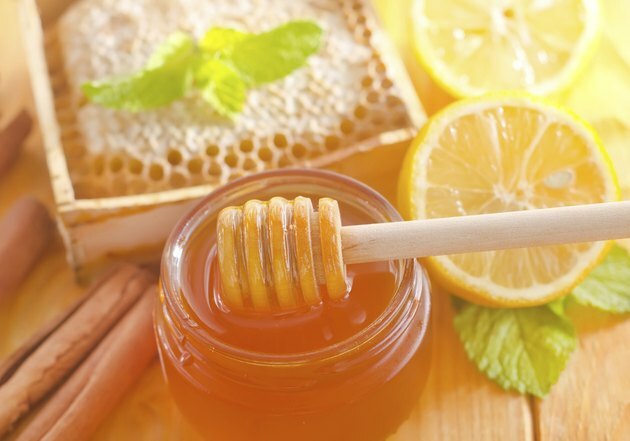 In addition to antioxidant properties, honey also has vitamins, probiotics, minerals, amino acids and enzymes. A study published in the January 2011 issue of "Letters in Drug Design & Discovery" suggested honey had a protective effect against high blood pressure in rats fed excess calories. Another study, featured in a 2011 edition of "International Journal of Molecular Sciences," found honey lowered systolic blood pressure in rats who developed spontaneous hypertension. What Are the Benefits of Yogurt & Honey?